Even after a series of deadly base shootings, senior commanders can't ask basic questions that would help determine the number of private guns brought on post. A week and a half after an airman shot and killed a commanding officer and then himself at a Texas Air Force base, authorities say they still don’t know whether Technical Sgt. Steven Bellino brought his gun on the base without authorization. Both open and concealed carry are banned on military bases. Personnel who live on Lackland Air Force Base in San Antonio, where the April 8 shooting occurred, are required to register their weapons and store them securely in their own homes or the base’s armory. The registration requirement is similar to those at other military installations, including Fort Hood, the Texas Army base where mass shootings claimed 17 lives in 2009 and 2014. But enforcement of the registration policy at military bases is generally lax, and commanding officers have little idea how many firearms are actually kept in private quarters. One major hurdle they face: federal regulations that prevent them from asking basic questions about personal gun ownership. Investigators are still trying to discern what happened on April 8, when Bellino walked into his squadron’s headquarters and shot his commander, Lt. Col. William “Bill” Schroeder, and then himself with a pistol. Bellino, who had only recently begun training to become a pararescue lifesaver, disappeared from the base. He was later taken into custody in Ohio, and returned to Lackland to face a court martial. Bellino lived in a dormitory on the base. Both Lackland and Fort Hood rely on an honor system, tasking gun-owning service members to report if they plan to keep their guns on post. The registration rules also only apply to military personnel and immediate relatives who live on base, and not those who live in surrounding cities and towns. In addition to guns that may be kept without permission in private quarters on a base, leaders also have to contend with the reality that people who work on the base and live in surrounding towns are carrying guns onto the post every day without permission. In 2014, Spc. Ivan Lopez, killed three soldiers and wounded 16 others at Fort Hood. Lopez lived in nearby Killeen, Texas, and drove onto the base with his gun. An Army investigation into the shooting revealed one of the key legal hurdles for commanders seeking to determine how often guns might be brought by military personnel from the outside. With some limited exceptions, federal law prohibits base authorities from collecting information about weapons owned by service members who live off-base, or asking service members how often they bring their guns on base. Fort Hood public records show 232 instances in which unregistered weapons were discovered on post between 2004 and 2014, a number that represents just a small fraction of the total number of guns brought onto the base without approval, according to public records obtained by the Kileen Daily Herald. Unauthorized, unregistered guns have been used in at least three high-profile shootings on military bases in the last seven years. In 2009, also at Fort Hood, Army psychiatrist Nidal Malik Hasan used a pistol to kill 13 people and wound 33 others in a medical processing center. Four years later, at a naval facility in Washington, D.C., former reservist Aaron Alexis shot and killed 12 people with a shotgun. Lopez used a semiautomatic Smith & Wesson handgun (purchased at the same store that sold Hasan his gun), in his 2014 attack. Military personnel aren’t the only ones shooting people on bases. Months before Lopez’s rampage, Army spouse Rouhad Ahamd Ezzeddine, whose wife had recently returned from deployment in Afghanistan, used a handgun purchased at an off-post pawn shop to kill his two young daughters and then himself in their home on Fort Hood. In 2015, an Army veteran and former clerk Jerry Serrato brought a firearm into a veteran’s clinic on Fort Bliss in El Paso, Texas, and killed a psychologist before killing himself. Both Ezzeddine and Serrato used guns that they had not registered with base authorities. Bases like Bliss, Fort Hood, and Lackland could tighten security measures to try to prevent unauthorized weapons from getting in, but on some large installations, hundreds or thousands of vehicles each day pass through secured access points. Stricter policies are difficult to enforce. 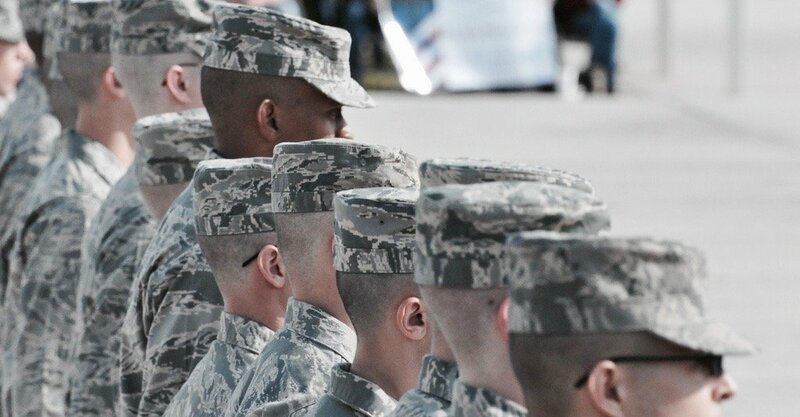 The joint base that includes Lackland supports more than 80,000 full-time personnel. The 2014 Fort Hood shooting report included recommendations for how the Army could help prevent people from bringing unauthorized firearms onto bases. The report suggested giving commanding officers the authority to collect information about off-post gun ownership and require service members, regardless of whether they live on or off base, to register all personal firearms. The report noted a big hurdle: Making such changes would require action by Congress. In the wake of military base shootings, lawmakers have voted to expand the presence and visibility of firearms, rather than moving to restrict them. The 2016 Defense Department appropriations bill requires the agency to establish regulations that give senior leadership at military installations the ability to authorize qualified service members to carry personal firearms on post. The measure was backed by the NRA and signed into law by President Barack Obama. Some military officials remain opposed to allowing privately-owned firearms on their bases. At a hearing before the Senate Armed Services Committee on April 7, General Mark Milley, the Secretary of the Army, said at he strongly opposes overturning an existing rule that bans service members from bringing personal firearms on military installations. Milley was the commanding general for Fort Hood at the time of the 2014 shooting.